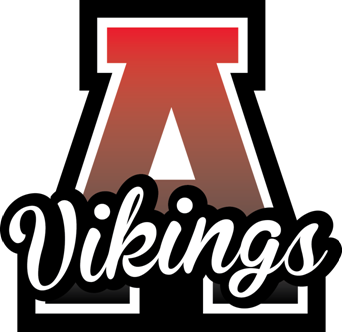 March Madness usually refers to basketball, but March has proven to be a very exciting month for all of our Amundsen Vikings. 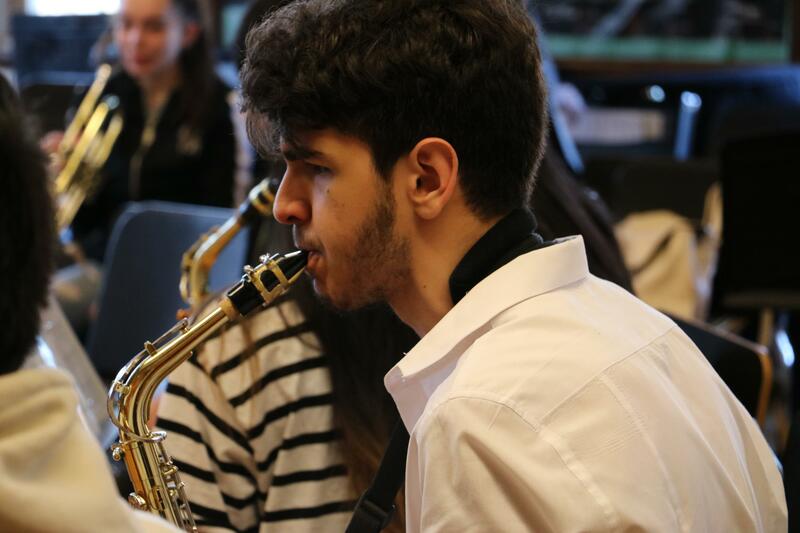 Starting with a live performance by members of the Civic Orchestra of Chicago, and ending with Amundsen Acadec's stellar performance at state, this past week has made March a month to remember. 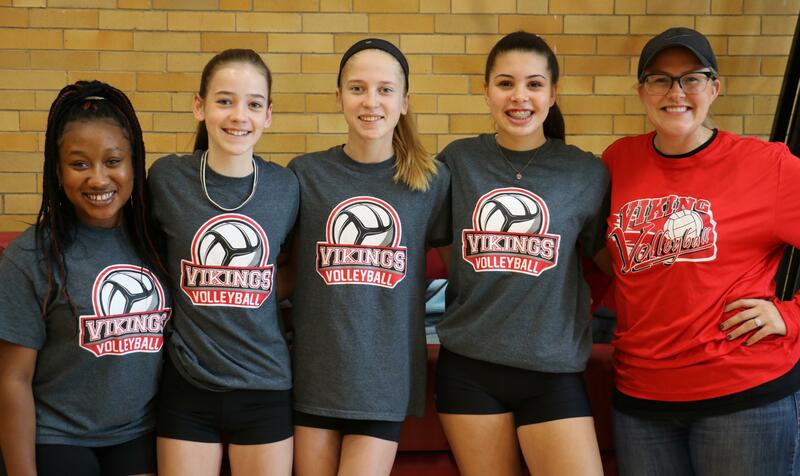 Click on the link above to learn more about what made this such an amazing week for our Vikings! 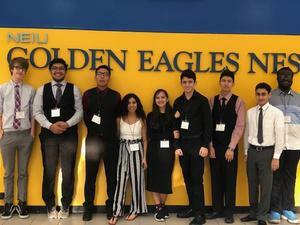 The Amundsen Academic Decathlon Team finished the season 5th place overall at the State Competition held at Northeastern University on March 16th. The decathletes earned 6 individual medals led by Isaac E. Go Vikings! Congratulations to AHS Students Rumel D. and Kristof G. for finishing 4th and 10th, respectively, at the Chicago City Regional Bridge Building Contest that was held at the Illinois Institute of Technology in February. 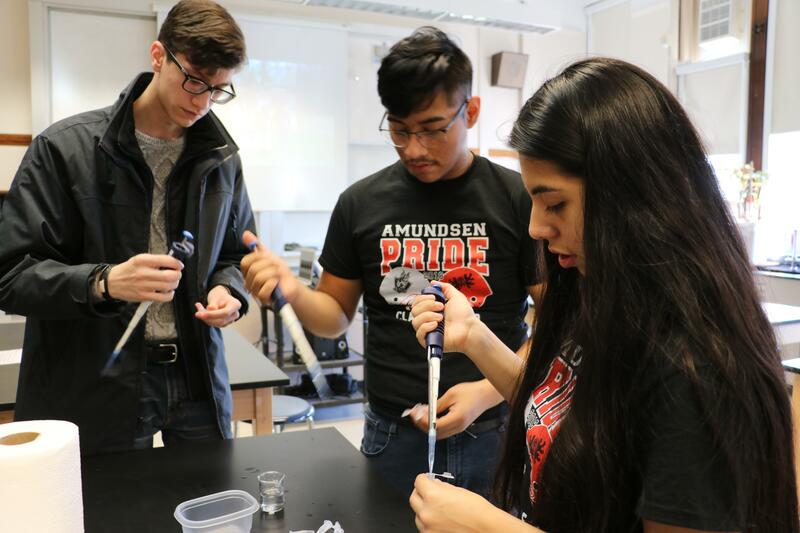 More than 200 AHS science and engineering students participated in a school-wide competition in January that sent the best bridge builders, including AHS students Miranda C. and Audrey B., to the regional contest. Congratulations to all of the students and their teachers on an excellent show of Viking design and innovation! We are so proud of you! 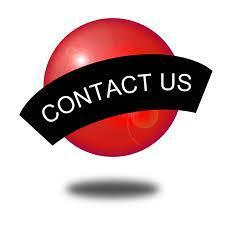 See the attached video to learn more. Please click on the headline above to read an important message regarding a lock down drill that was held on March 27, 2019. 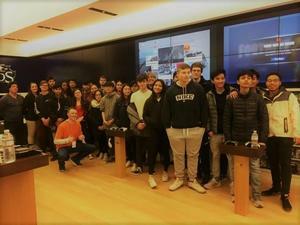 On February 22, 2019, juniors in the IB Career-related program traveled to the Microsoft Store-Oakbrook to learn about careers in the sale and marketing of technology products. 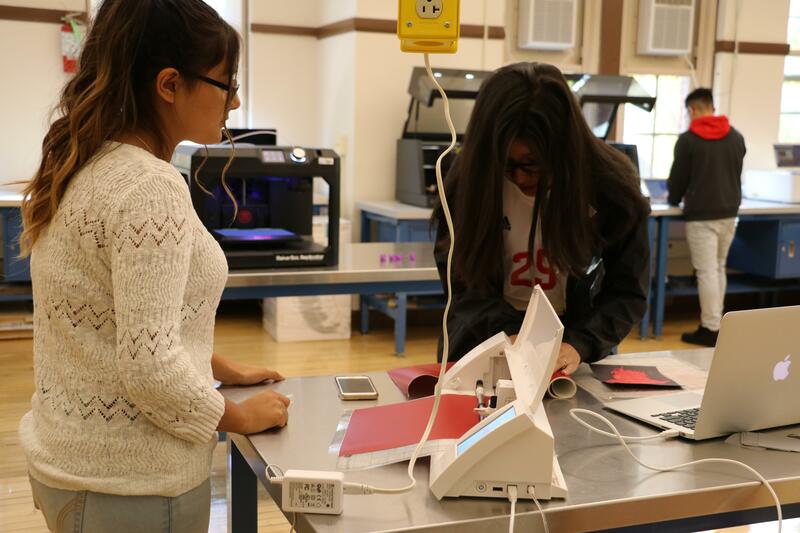 Students had an opportunity to check out new Microsoft products from laptops to Surface Pros to robots. They also had the opportunity to interact with Microsoft professionals who talked to them about careers in their division. The students also learned about the professional networking site LinkedIn and about how to create an eye-catching, thorough, and engaging profile that will attract recruiters and potential employers. Thanks to Ms. Welch for organizing this trip! Viking Mathletes do it Again! 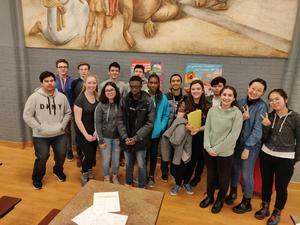 Congratulations to the Viking Math Team who prevailed once again at Lane Tech this weekend! Teams Algebra 1, Geometry, and Pre Calculus all took 1st place in their division with individual awards going to Isaac E. 1st place in Geometry; Tyler S. 2nd and Luis P. 3rd place in Algebra; Anar A. 2nd and Mungunshagai B. 3rd place in PreCalculus. Congratulations to all the participants and to their coaches, Ms. Olga Prappas and Mr. John Evans. Great job! 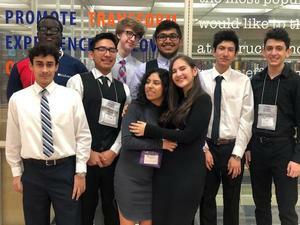 The Amundsen Academic Decathlon Team advances to State again. Congratulations to the Amundsen Academic Team for advancing to State. The Viking Decathletes won 11 individual medals at the CPS City Championship held at Whitney Young H.S. on February 23rd. The team's high scorer was Isaac E. Wish them luck at the State Finals on March 16, 2019 at Northeastern University. Go Vikings!!! Join the GEAR UP and Amundsen Counseling teams as we talk about GEARing UP for College! This event will take place at Amundsen on Saturday, March 9th from 10am-1pm. Parents can choose from a series of workshops to better prepare families for the college application process. We will have workshops for families such as Paying for College, Choosing a College, and much more! A light breakfast will be provided. 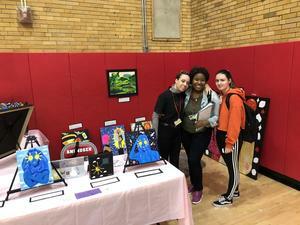 This event is open to the families of Amundsen Freshmen, Sophomores and Juniors. Spanish translation will be available. 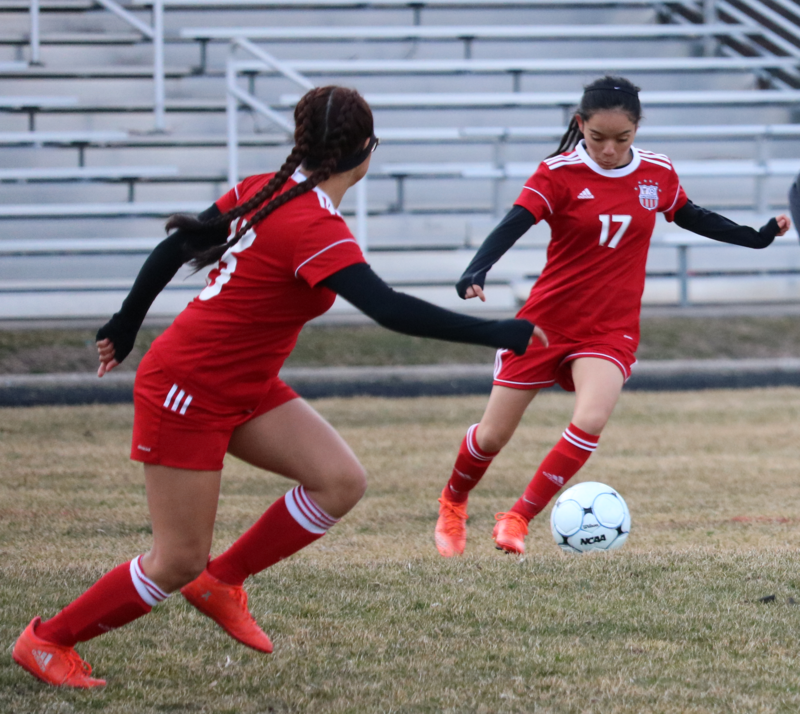 Amundsen Freshmen are on track for Success! 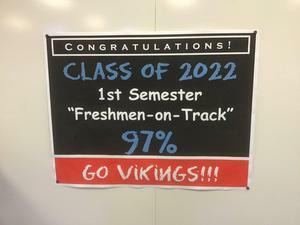 Congratulations to the Amundsen Class of 2022 for achieving a Freshmen-on-Track rate of 97% during the first semester! The FOT rate s a key predictor of high school success. Students who finish the ninth-grade year on track are almost four times as likely to graduate from high school as students who are not on track. We are proud of our freshmen and their teachers for working so hard to make sure that the class of 2022 is on the right path for college and career success.